Yesterday I made a bendi card from the Dreaming Tree, this is the spring version. I used the same two cards from the Christmas Bendi Cards bundle, Believe and the Ode To Joy. 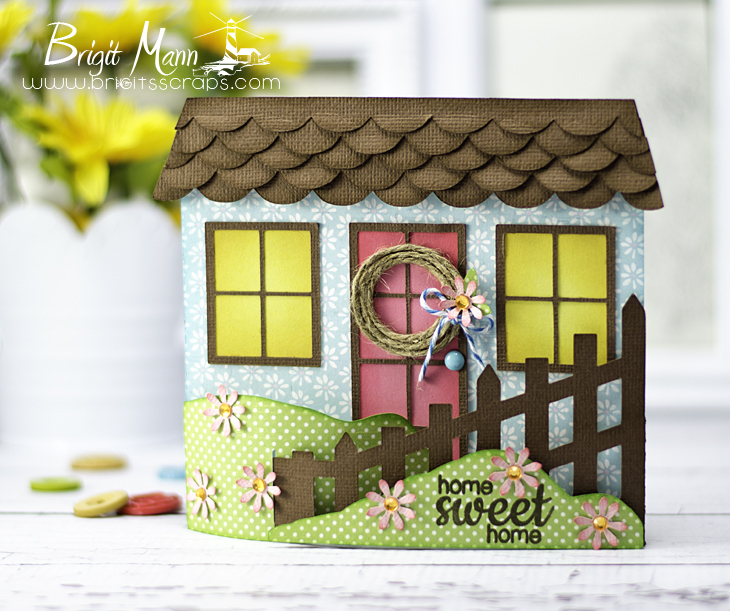 The sentiment is from Sunny Studio's Happy Home Stamp Set. This is so fabulous and cute! Such a very inviting home. This is so so cute! TFS! This is so pretty Brigit! I love it!